As an introduction to the Gallery I am hosting a giveaway. 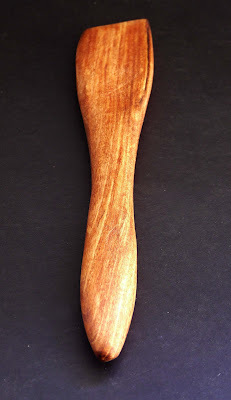 I love the idea of sharing a few of my favourite cooking utensils with my fellow bloggers. 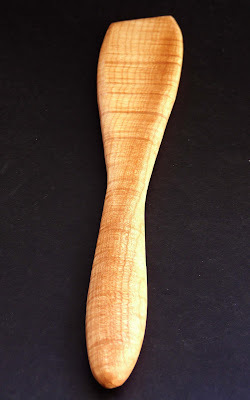 I have three handcrafted "Stirrers" crafted by a local artist to giveaway. These spoons are beautiful to hold and to use. 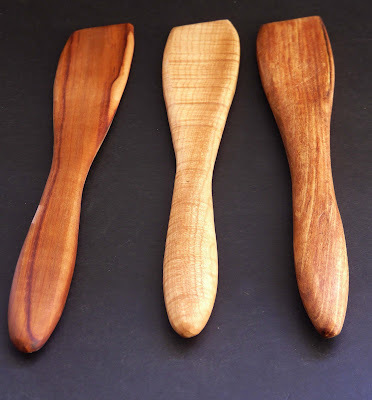 The first one is made from plum, the second Maple, and the third Arbutus. In order to enter, just visit The Gallery between now and October 12th (Canadian Thanksgiving) and leave a comment on Gallery Collection #3. For a second entry, blog about this Giveaway and then post a link back here. Also a purchase on the Gallery will earn two additional entries. Three winners will be chosen using Random.Org. The winners will be announced the evening of October 12th. Please make sure that I have a way to contact you by email as I would hate for anyone to lose out because I couldn't notify them. If your email address is not available on your own blog then please include it in your comments. These look wonderful Ann...I am coveting everything I have seen! These are gorgeous. I'm so jealous of the local talent you have. Just beautiful, Ann. I would really love to have these stirrers. They are absolutely beautiful. Thanks for the giveaway and good luck to everybody! !